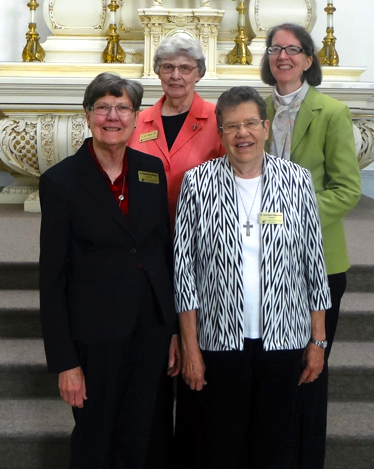 The current Ursuline Leadership Council took office in July 2014 and will serve until 2020. They are (front row, l to r): Sister Paula Kleine-Kracht (Councilor) and Sister Janet Marie Peterworth (President). (Back row, l to r) Sister Jo Ann Jansing (Councilor) and Sister Agnes Coveney (Councilor).